Peter Bohlin, founding design principal of Bohlin Cywinski Jackson, grew up in New York and New England. Since childhood he has been deeply interested in the human circumstance and how architecture can enhance and elevate the experience of our surroundings. 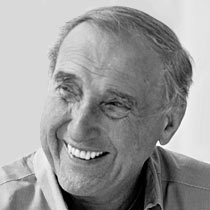 Peter Bohlin holds a Bachelor of Architecture degree from Rensselaer Polytechnic Institute and a Master of Architecture degree from Cranbrook Academy of Art. A Fellow of the American Institute of Architects, Bohlin served as Chairman of the AIA Committee on Design from 1984 to 1985. 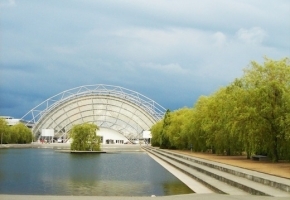 Peter Bohlin has taught and lectured at many schools of architecture throughout the United States. A monograph on the firm, The Architecture of Bohlin Cywinski Jackson, was published in 1994, and a second book, Ledge House, detailing the design and construction of that house, was released in 1999. Arcadian Architecture: Bohlin Cywinski Jackson—12 Houses, a monograph on the firm’s residential work, was published in 2004. Grand Teton: A National Park Building, a book on the Craig Thomas Discovery and Visitor Center, was published in 2009. 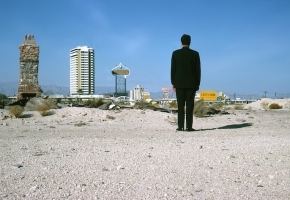 A monograph on the firm’s work, The Nature of Circumstance, was published in 2010. From a single office in a small city in northeastern Pennsylvania, the firm founded in 1965 by Peter Bohlin and Richard Powell has grown to five offices in Wilkes-Barre, Pittsburgh, Philadelphia, Seattle, and San Francisco. In 1994, the firm received the AIA Architecture Firm Award. In 2010, Peter Bohlin was the recipient of the AIA Gold Medal, the highest honor bestowed on an architect by the Institute. Bohlin and his partners and colleagues continue to work on a wide range of architectural projects, from houses to large buildings for universities, retail stores for Apple worldwide, public institutions including the Seattle City Hall, and cultural buildings such as the new visitor center in Grand Teton National Park.